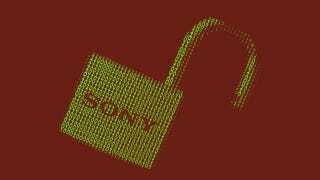 As had been promised by GOP (or Guardians of Peace), the hacking group responsible for the trove of leaked Sony information, one of the worst batches yet has been released: The email history of Sony Pictures General Counsel Leah Weil. The nature of the majority of the documents is highly sensitive, as one might imagine given Weil's position, and there are thousands to sort through. The below emails, though, shed light on squabbles with Sorkin, net neutrality confusion, and a host of conflicts within the company itself. As you can see above, Aaron Sorkin cites Aimee Wolfson, Executive Vice President of Intellectual Property at Sony, as the reason he can't give a copy of his script to Lisa Brennan-Jobs, Steve Jobs's daughter. Adding to the problems plaguing Sony's all-too-brief stint with Aaron Sorkin's Jobs movie, it appears that the director misrepresented the legal department to forward his own agenda (in this case, not showing Jobs's daughter his script in advance). While there's a certain irony to this, given the events of the last several weeks—and this specific dump—it's an issue that every company and individual struggles with. At this point, we don't know for sure whether they were grappling with a simple storage issue or security implications. Either way, though, Sony apparently knew its email system was less than ideal. It appears that the company ultimately voted not to submit an official net neutrality comment; the execs seem to never have agreed on a single position. But considering how adamantly Comcast has fought against net neutrality in the past, Sony certainly stands to gain by not stepping on the cable giant's toes. A partnership that could potentially streamline the DCMA takedown process in a major way—for better or for worse. Because at least in this case, this particular side of a Sony/Google partnership would probably manifest itself mostly on YouTube in the form of some major content and copyright deals. It seems unlikely that this will be the last of the leaks; the GOP initially claimed to have roughly 100 terabytes at its disposal, of which we've still only seen a small percentage. And if the message accompanying this newest leak is to be believed, things will only "get more interesting in the coming days."